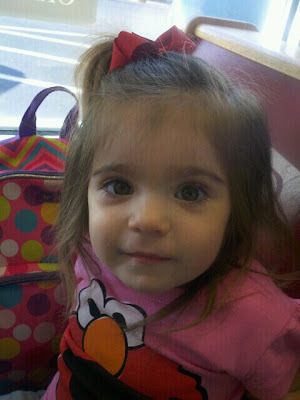 On March 17, Julianna celebrated her 2nd birthday! I can't believe my little baby girl is already 2! Julianna has changed our lives in so many ways and definitely for the better. We love you, Julianna! You'll always be our little girl! To celebrate, Julianna and I went out for breakfast- just the 2 of us. We ran a few errands, napped, and then had a big party with our friends and family at our house. She had a blast! The theme was Elmo with touches of pink and polka dots.